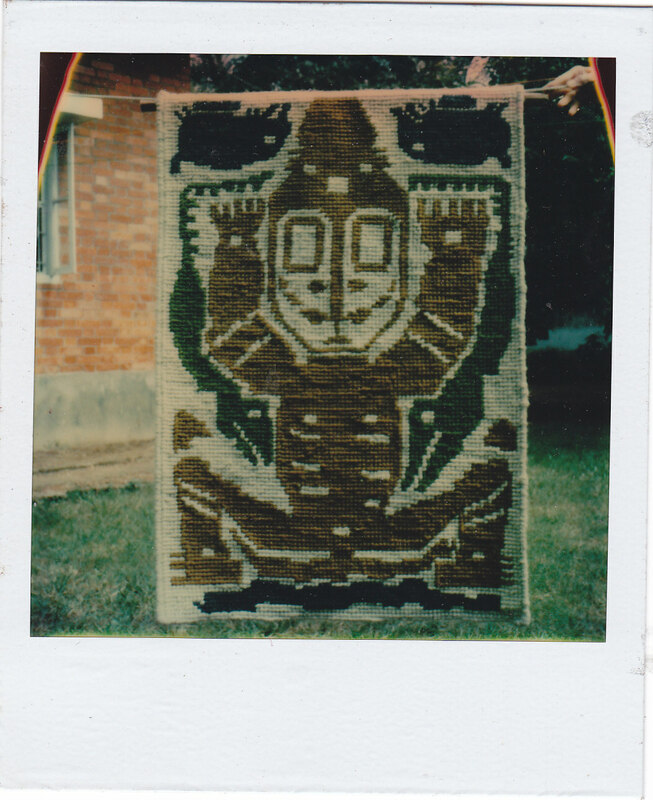 I found an old photo album from my early days of rug making back in the 1970’s. I might modify that sentence to say serious rug making. 30 years previously I had made several latchet hooked and braided rugs – I was serious enough about those at the time but they were done more as a teen-age hobby. 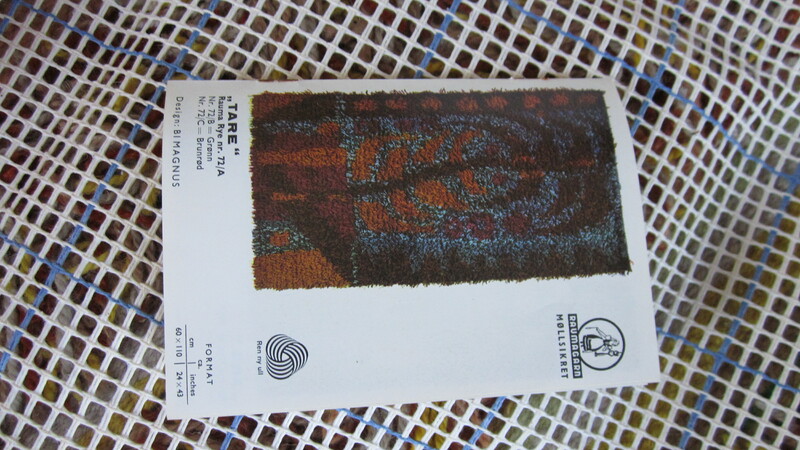 My serious rug making took off in the mid-1970’s when I purchased an upright loom. It was a Squirrel loom which I imported to Fiji from New Zealand. I was part of a burgeoning arts and crafts movement among the ex-pats. 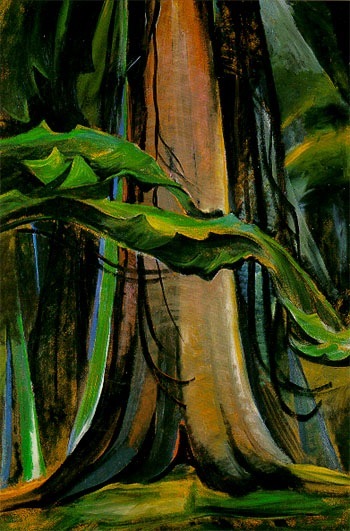 The Fiji Arts Club had been going for years and years but its members concentrated on painting and drama. I dabbled in painting and went along for the Tuesday morning outdoor painting sessions. I did not receive much encouragement there but met a number of people with similar interests along the crafts lines. There we were, each either accomplished in their particular craft, such as candle making, or pottery, or weaving, or wanting to become so. So a new group was in the making and became the Fiji Crafts Association. Our first exhibition was very exciting. At that point I only had a table loom but was happy to be a part of the developing bigger picture. 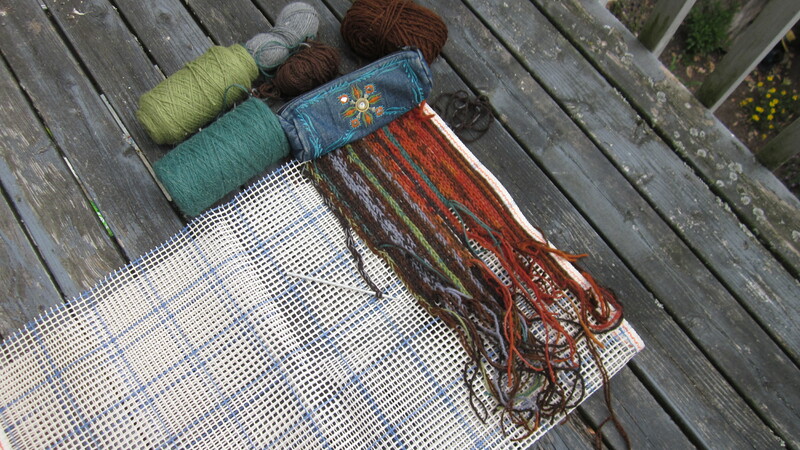 And I was stimulated to get a floor loom so that I could move on to weaving rugs. Simultaneously, the Fiji Arts Club decided to have a small crafts section as part of its semi-annual exhibition. And that was where I sold my first rugs. Encouraged by my success, Ian turned his hand to acrylic painting, a latent talent to say the least, and his paintings sold even faster than my rugs. Heady days! To stimulate this interest in painting and weaving we seemed to be surrounded by all sorts of inspiration. 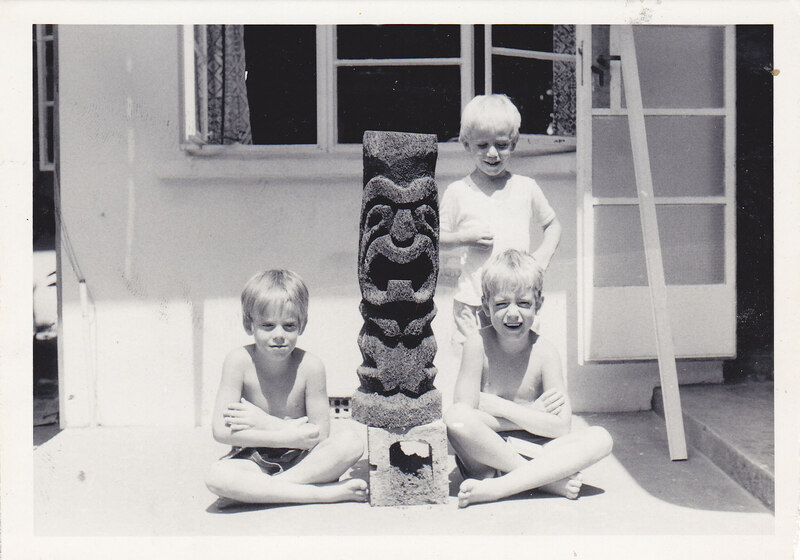 Not the least of which was this piece of bark sculpture, which we found in the forest somewhere in Fiji. We labelled it Mbala mbala, took it back with us to Dublin, and had it sitting in our garden there for years. Sort of in line with this tree bark sculpture, I found an image of Sepik art and translated that into a stitched rug. My stitched rug based on an image from Sepik art. So the three above images are in my mind as I work on my latest rug. The exact direction I am going in is not quite certain – it’s all evolving. Some people like to work with strict cartoon and adhere to it religiously – I prefer to let my designs evolve as I go along.